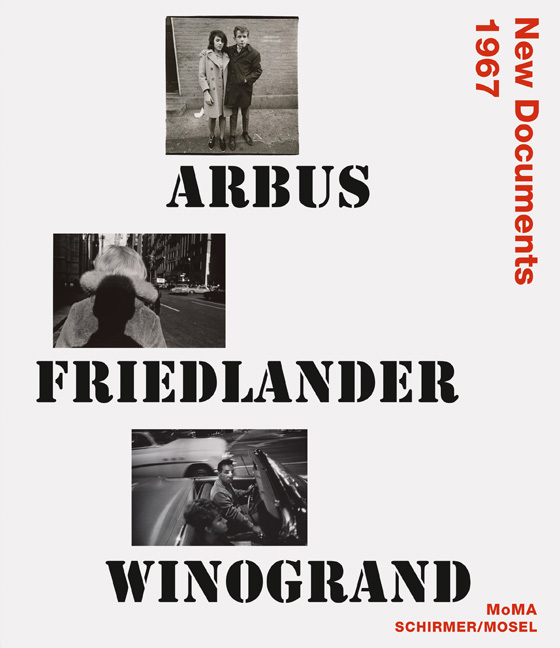 One of the singularly important exhibitions in the history of photography, MoMA’s 1967 New Documents with pioneering photographs by Diane Arbus, Lee Friedlander, and Garry Winogrand came without a catalogue. For the 50th anniversary of the show, MoMA is making up leeway presenting all the works exhibited and installation photographs of the show. Schirmer/Mosel. Museum of Modern Art, New York. Ed. by Sarah Hermanson Meister. With a text by Max Kozloff. 180 pages, 100 plates. Size: 23 x 27 cm, hardcover. German edition.